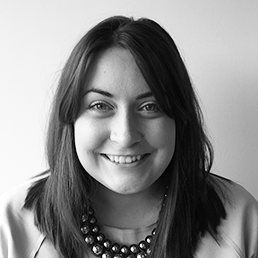 Ffion O’Malley has over 6 years’ experience working within the medical industry sector. Ffion joined the CBM team in January 2016 as their Advanced Manufacturing Project Engineer to provide CBM Medical capabilities. Prior to the current role she completed a Research Innovation Award PhD on the development of innovative patient specific surgical guides in the Surgical & Prosthetic Design research team at PDR. Her research focused on both qualitative and quantitative methods, examples of which include clinical observations of maxillofacial surgery, additive manufacturing materials and the analysis of accuracy for digitally planned cases. She also worked one day a week for ABMU’s Maxillofacial Unit at Morriston Hospital on the Innovate UK ADEPT project. She has previously worked for two medical companies based in the Institute of Life Science at Swansea University: Seren Technology Ltd. (developers of ideas into pioneering solutions for the healthcare and beauty industries) and Haemair Ltd. (developers of a patented prosthetic lung and respiratory aid) as a Design, Test and Research Engineer. She attained a Master of Science in Advanced Product Design in 2011 and a 1st class BA (Hons) in Product Design in 2010 from University of Wales Institute Cardiff.